IT MAY HAVE BEEN RONALD whose dreams to eventually coach Barcelona seemed to spectacularly combust at Goodison Park, but he wasn’t alone – his brother was also part of the journey. From the European Championship-winning Dutch national side to the bench at Everton, their footballing paths are inextricably linked. However, the elder brother also had his share of adventures on the road less travelled: he may have ended up as the assistant of Ronald, but also happened to have a string of managerial appointments of his own throughout the years. For the Koemans, football has always been a family business. Though their father, Martin, didn’t reach the dizzying heights his sons did as part of the all-conquering Netherlands team in 1988, he had a respectable 17-year career as a semi-professional player across multiple Dutch clubs, eventually retiring after spending a year at Heerenveen. He was regularly called up for the national side but only won one cap, against Austria on 12 April 1964. “Our father played football for 15 or 16 seasons in the First Division in Holland [and his] experience helped us a lot” – these are Ronald’s words, but Erwin has also gone on record giving credit to Martin for their success in the game. He passed away in 2013 but was involved in football until the very end, being part of the youth academy at Groningen. Both siblings followed in his footsteps, starting their careers at that very club, where, perhaps understandably, one of the stands is now named after the family. Erwin only played a few games for the team before heading off to PSV, shortly after Ronald became part of the first team. He returned three years later and they spent a year together at the club before the younger Koeman left for Ajax, with both of them receiving their debut for the national team in the same match against Sweden. Next up, Erwin moved to KV Mechelen, winning the Belgian league and the Cup Winners’ Cup, while Ronald racked up four Eredivisie titles with Ajax and then PSV, winning the European Cup with the latter in 1989. 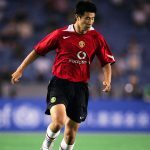 Erwin returned to the Eindhoven-based outfit a year later, but his younger brother was already at Barcelona by then, becoming an indispensable part of Johan Cruyff’s Dream Team, topping LaLiga four times in a row and scoring the winning goal in the 1992 European Cup final against Sampdoria. He eventually ended up at Feyenoord before hanging up his boots. Erwin never got to the rest of the big three in the Netherlands, not as a player at least. His last stint saw him return to Groningen once more for a four-year period before his retirement. While Ronald immediately went into management, joining the coaching staff of the national side in 1997 before becoming the assistant manager of Barcelona, then guiding Vitesse to the UEFA Cup in 2000, Erwin’s path was slower. His first senior job came in 2004 at RCK Waalwijk after being a youth coach and then an assistant manager at PSV. By then, things were going considerably worse for his side. They eventually finished seventh, with Erwin announcing his immediate resignation in May 2007. The reasons behind such an abrupt step close to the end of the season? Motivational problems. Amusingly, his team was scheduled to play against Groningen in the playoffs at the time. After a year-long sabbatical of sorts, it was time for his first and only foray into international management, becoming the second foreigner to lead the Hungarian national team after Lothar Matthäus’ disappointing tenure between 2004 and 2006. Despite the country’s rich footballing history, their last major tournament appearance was in 1986, and his goal was to qualify for the 2010 World Cup. It was certainly not an easy job; while Matthäus’ managerial record is spotty to say the least, his stinging criticisms that the national football federation was “not contributing [to], but exploiting Hungarian football” were not without merit. The fourth-seeded team finished sixth in their Euro 2008 qualifying group after his dismissal, burning through two native coaches before turning to Erwin, whose first match in charge saw the Magyars beat the then-European champions Greece 3-2 in a friendly at home. Still, he failed at what was close to an impossible task, with the team finishing fourth, three points off the playoff places in a group containing Denmark, Portugal and Sweden. He generally followed his predecessor’s 4-2-3-1 tactics throughout the campaign where his side beat Albania and Malta back-to-back and took four points off Denmark, but failed to get a single point against the top sides of the group. While these results seem decidedly mediocre in retrospect, it commanded a lot of respect from the fans back then. Part of that was due to a favourable fixture list which frontloaded the easy games, giving real hopes for qualification after the first six rounds, but it also had something to do with the fact that these supposedly easy opponents were nowhere near guaranteed wins previously. Perhaps the most contentious decision of his tenure was to freeze out influential midfielder Zoltán Gera from the side around the time when he was named Fulham’s player of the season due to his performances in the team’s run to that year’s Europa League finals. Gera had temporarily retired from the national side after Erwin decided against featuring him because he was late for a meeting. 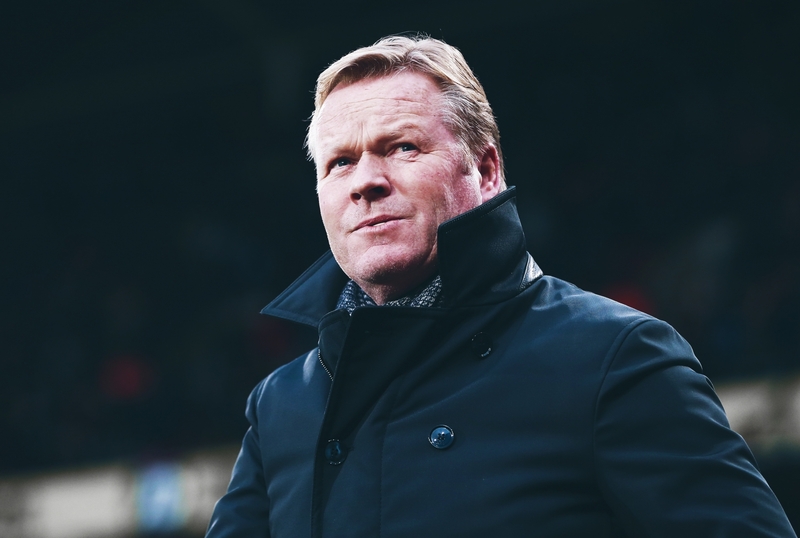 The midfielder was unwilling to watch the match from the stands and left the team behind, stating that he would not play for the side again as long as Koeman remained the manager. This, alongside limp performances against Portugal in the qualifiers, plus heavy friendly defeats against Germany and the Netherlands meant he no longer had the fans on his side. As the local managerial cliques had their knives out for him from the very beginning, it made his position untenable. After winning only one of his last eight games as manager, a mutual termination of his contract followed shortly. Returning to greener pastures, he was appointed as the new manager of Utrecht before the 2011/12 season. He quit in October citing bad working conditions. In the meantime, Ronald’s whirlwind career saw him burning through Valencia and AZ Alkmaar during the same period, becoming the new Feyenoord manager in 2011. He was more successful at the club than his brother was, finishing second, third and second in the three seasons he was in charge. In the meantime, Erwin returned to Waalwijk, facing off against Ronald for a few seasons in the Eredivisie. Again, the younger brother has the better record with four wins and two draws from seven meetings. This was the last time they would be in opposite dugouts; soon after, Ronald was appointed as Southampton’s new manager and Erwin followed as his assistant. Their time at Southampton was a scintillating success: Ronald won four and drew one of his first six games in charge and led the team to seventh place, a record at the time, which they immediately broke the following season, ending the 2015/16 campaign in sixth. Erwin was an integral part of the coaching line-up at the Saints, and his services were retained at Everton. The rest, as they say, is history, with the team sliding into the relegation zone despite the brothers being given the largest transfer war chest in the history of the club. Ronald has publicly stated that the failure to replace Romelu Lukaku with Olivier Giroud contributed to his sacking, but that is now long beside the point: their results were simply unacceptable.